Since 1939, our team at Pyle Fence has been Baltimore’s trusted fencing contractor, providing quick and reliable service as well as quality work. We offer a large selection of fencing materials and styles, and work with our customers to achieve the best possible result for their project. 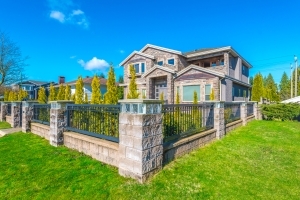 Whether you’re looking for a rustic wood, a modern vinyl, an elegant iron, or something entirely customized, our experienced fence contractors can help you select the perfect fence for your home. Throughout our seven decades of experience, we’ve fenced many homes in the Baltimore area. Our exceptional service and top-quality workmanship have earned us the title as the Best in Baltimore in 2015 by Baltimore Magazine and an A+ Rating with the BBB. Discuss your project with our knowledgeable team today! To request a free estimate, call us at (410) 426-8319.